This week, Your News to Know rounds up the latest news involving gold and the overall economy. Stories include: Going long gold to have interesting risk-to-reward ratio, China’s gold mystery deepens, and man finds U.K.’s biggest gold nugget in Scottish river. As gold prices push through their usual slow summer, one expert sees ample benefits in assuming a long gold position. Kitco reports that Metal Bulletin precious metals analyst Boris Mikanikrezai said the current bearish sentiment is surprising even when taking into account the traditionally mild quarter for the metal. Mikanikrezai noted that several near-term factors have combined to subdue gold prices, listing the dollar’s rally and an increase in yields as the most prominent. With this in mind, Mikanikrezai said that gold’s breakout could potentially be delayed through fall. However, moving on from there, Mikanikrezai sees plenty of reason to be excited about gold, pointing out that current valuations provide an attractive risk-to-reward ratio. 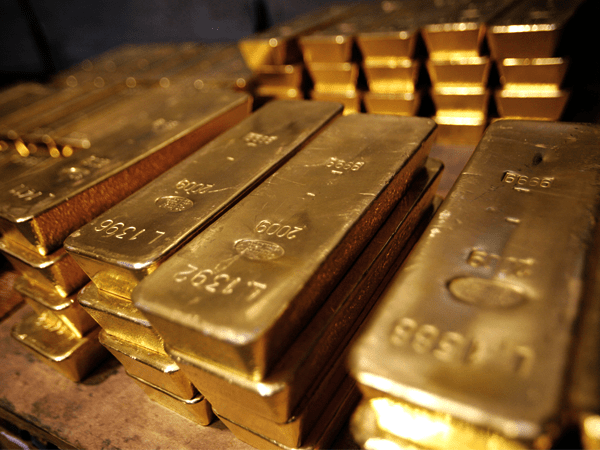 Is China secretly increasing its gold reserves? According to official figures, China’s gold reserves have stayed the same since October 2016 and currently sit at 59.24 million ounces, or 1,843 tons. However, according to a Newsmax article, recent trade tensions with the U.S. reminded market watchers of China’s willingness to keep its central bank gold purchases murky. This has lead many to believe that the past few years may have seen a steady inflow of bullion. As noted by Philip Klapwijk, managing director of Precious Metals Insights, China is all the more likely to add to its gold reserves given the deteriorating relations with one of its primary trading partners. And, even in the absence of regular purchases, China still has enough options to increase its holdings, either through the massive jewelry hoard of its citizens or the country’s numerous mines. Like Klapwijk, precious metals researcher Mark O’Byrne believes that China’s gold pile is already far in excess of what it was in October 2016, when China last updated its figures in a bid to add the yuan to the International Monetary Fund’s Special Drawing Rights basket. O’Byrne sees it as a question of how much, rather than if. Before making efforts to adhere to the IMF’s new regulations starting in July 2015, the People’s Bank of China went through a six-year stretch without updating its official gold holdings. When the figures were finally updated in 2015, it was revealed that China’s gold pile increased by 57% since 2009. With almost two years passing since the last update, and given the rise in tensions with the U.S., the next announcement could feature an increase of similar magnitude. According Kitco, a recent discovery in a Scottish riverbed could add fuel to the renewed interest in gold prospecting in the region. During a standard snorkeling session, an amateur prospector uncovered an exceptionally large gold nugget. As it turned out, the so-called Dallas Nugget weighed 85.7 grams (3.02oz), making it the largest such find in Britain in the last 500 years. Gold panning expert Leon Kirk estimated the value of the nugget at more than $65,000 and compared its rarity to that of a Fabergé egg. While the find happened two years ago and at an undisclosed location, the news will likely encourage other prospectors to visit some of Scotland’s mineral-rich zones in search for gold. Kirk noted that the Museum of Lead Mining near Glasgow has already seen hundreds of signups to its gold-panning courses, suggesting that a gold rush in the country could be reawakening.